Photos by Raymond Ahner and Jeff Spirer. 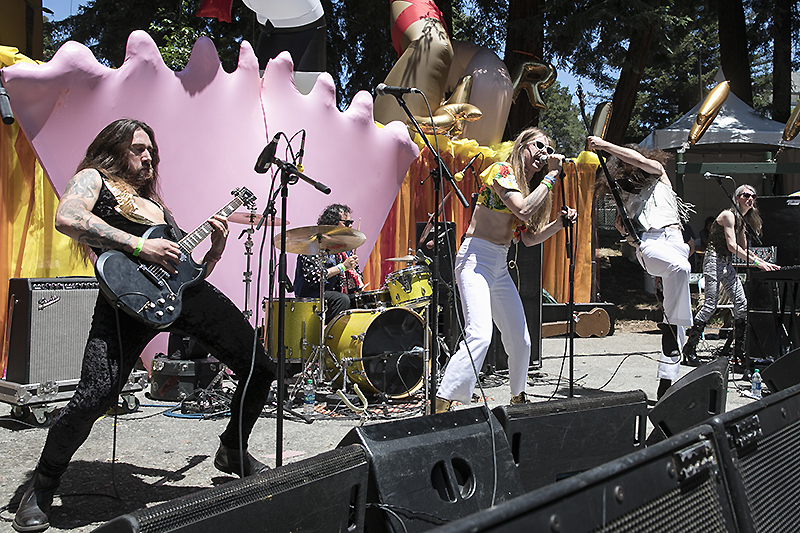 Burger Boogaloo took over Oakland’s Mosswood Park for two days, bringing 22 bands to two stages in the four-acre park. 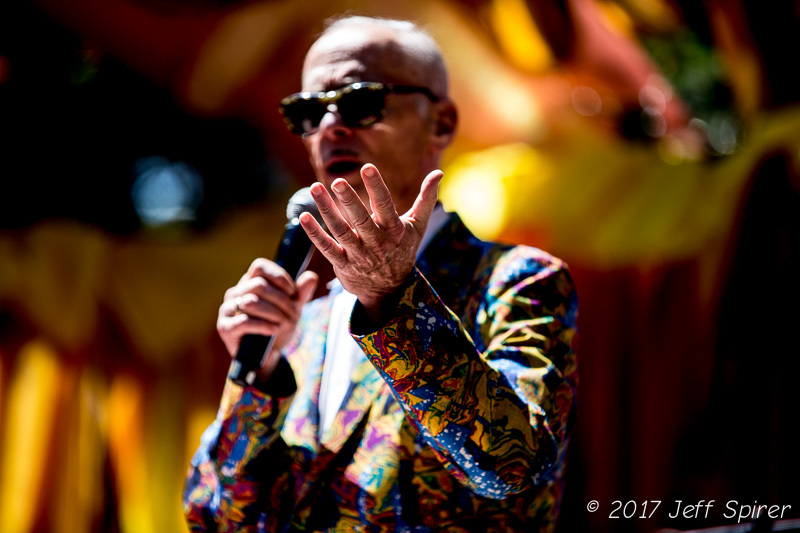 Hosted, as before, by John Waters, whose introductions reminded the crowd why his movies are so terrific, the performers ranged from Iggy Pop, X, and The Buzzcocks, to local bands with punk roots. Other than the occasional moshing, stage diving, and crowd surfing, it was a surprisingly mellow event. There were beer and merch concessions, and a food area dominated by the long lines at Oakland’s Abura-Ya. 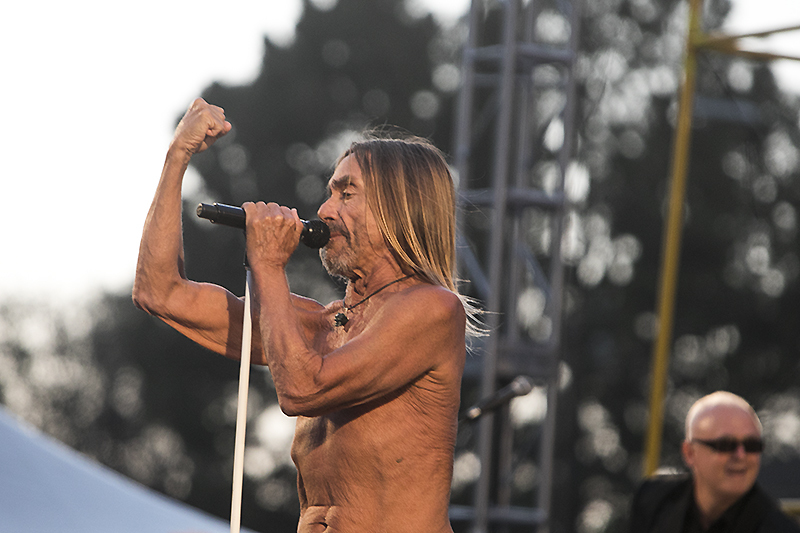 Day one’s standout act was Iggy Pop, who at 70, proved he can’t be stopped by age. The Godfather of Punk hit the stage and immediately had the way overcapacity area in front of the stage in total chaos. People danced, moshed, and stage dove as Iggy shook his way across the stage, before diving into the crowd himself. Highlights of his set included “TV Eye,” “No Fun,” and “I Wanna Be Your Dog.” His beyond energetic set was the perfect way to wrap up the first day. The Japanese garage punk trio Guitar Wolf hit the stage in T-Rex masks before creating total havoc while the crowd in the front rows ate it up. Taking turns crowd surfing, Seiji and bassist U.G. still managed to lay down a killer set, and together with drummer Toru set the tone for the rest of the evening while putting on a frantic set. 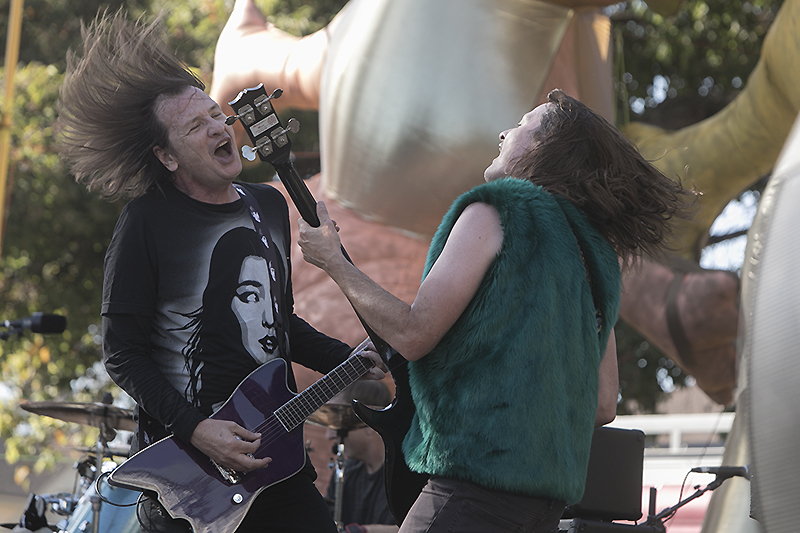 Bringing the main stage to life, Redd Kross delivered what was the most energetic set on the main stage before Guitar Wolf and Iggy. The brothers McDonald seemed to be having a blast onstage, as the band belted out covers of Kiss’ “Duece,” “Citadel” by the Rolling Stones, and The Stooges “Ann,” in homage to the headliner of the evening. Day two saw X bring the crowd to bedlam. 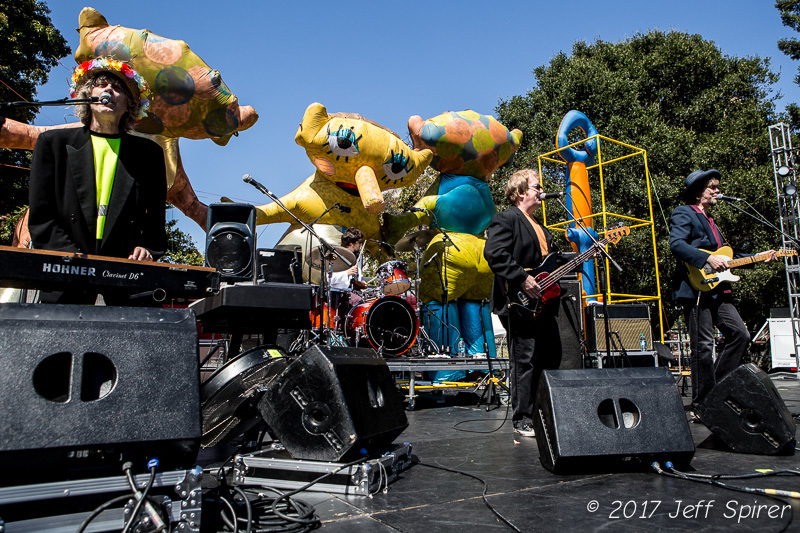 The band plowed through hits with plenty of audience members singing along when they weren’t crowd surfing or pushing toward the stage. 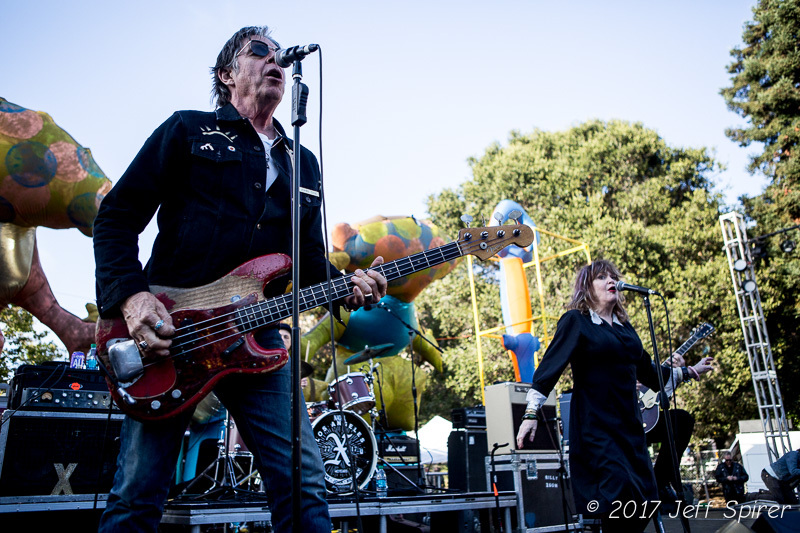 Billy Zoom had to sit due to illness but kept the guitar energy flowing, John Doe and Exene sang with voices that sounded as fresh as they did forty years ago, and DJ Bonebrake delivered percussion energy and hit the vibes for a few songs. 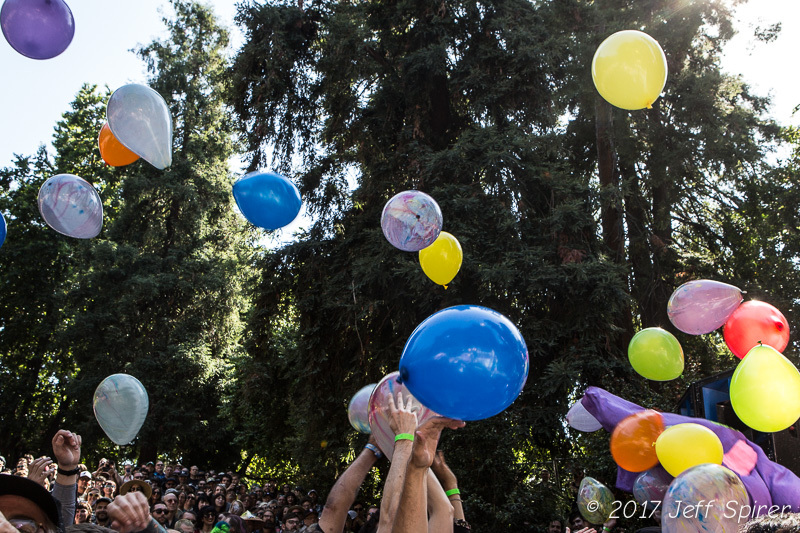 Burger Boogaloo is now the most uniquely Bay Area festival; may it continue forever. Top photo by Raymond Ahner.